Until the 1990s, dental insurance providers considered orthodontic treatment purely cosmetic, and did not provide coverage for these necessary services. 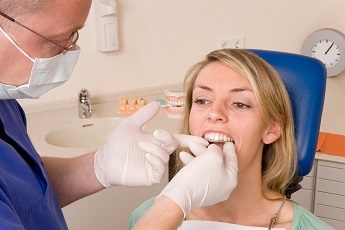 Dental insurers determine coverage based on a number of factors. One determination factor is necessity. After dentists and dental researchers claimed the necessity of orthodontic intervention to prevent oral health concerns and allow for healthy dental function, insurers started covering traditional bracket and wire braces. Today, patients may even be able to receive dental insurance coverage for non-traditional orthodontic options like ClearCorrect alignment tray braces. At the Allen Park dentistry office of Frank Stankiewicz, DDS, we know the huge difference properly aligned smiles can make to your appearance, confidence, and ability to consume a healthy diet. Whether you missed out on straightening your teeth as a teen or you’re looking for an alternative to bracket and wire braces for a young adult in your life, it’s time to call our Allen Park dentistry practice to schedule a ClearCorrect consultation. ClearCorrect is an alignment tray orthodontic system. ClearCorrect aligners are each molded to represent your smile one step closer to the desired end result. You wear the aligners for about two weeks at a time. Then, exchange them for the next set in the series. With just a few checkup visits spread throughout the course of treatment to ensure your smile is shifting according to plan, ClearCorrect treatment is typically completed in eight to eighteen months. How is ClearCorrect Different than Traditional Braces? Traditional braces use wires attached to brackets to place pressure on individual teeth, shifting them into alignment over the course of 18 to 36 months. These treatments take time, require frequent trips to the orthodontist for adjustment, and can be a real hassle for adults and busy teens. ClearCorrect allows patients to straighten their teeth without negatively impacting their appearance, taking up significant amounts of time, or causing discomfort. In short, ClearCorrect is the quick, comfortable, cosmetic alternative to traditional braces. Saved time – during treatment, patients save time with fewer, shorter office visits, and patients also save time overall since most treatment plans are completed within twelve months. Improved hygiene – patients with bracket and wire braces often struggle to thoroughly brush and floss around these cumbersome appliances. For those patients with ClearCorrect, oral hygiene is as simple as removing the alignment tray, brushing, flossing, and replacing the aligner. No changes necessary. No hassle – in addition to allowing patients to look their best throughout treatment and continue their regular oral hygiene routines, ClearCorrect also allows patients to consume all of their favorite foods. Increased comfort – traditional bracket and wire braces can irritate soft tissue, especially for patients who have allergies or sensitives to metal. Smooth, plastic ClearCorrect aligners make straightening teeth comfortable for any patient. Following orthodontic treatment, the supportive bone and soft tissue needs to reattach to the tooth roots in their new position. 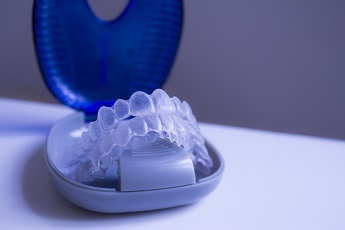 In order to avoid allowing teeth to slip back out of alignment, retainers need to be worn for the first few years, even for those patients who use ClearCorrect aligners. Luckily, most patients are able to receive retainers that are clear just like their ClearCorrect alignment trays, so no one will see them.